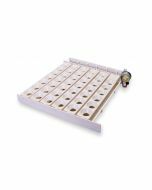 This set of six quail rails is designed to easily fit into the Little Giant Automatic Egg Turner. 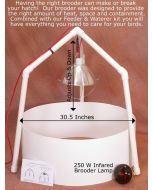 Designed for those who desire a larger capacity of quail or other small eggs. 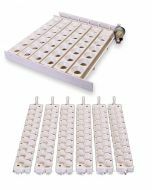 Each rail holds 20 eggs for a total capacity of 120 eggs. Each rail is made of durable dishwasher safe plastic which is easy to clean. This purchase ONLY includes small egg racks (No Turner). 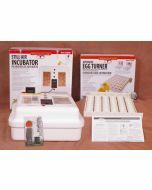 Additional accessories can be purchased for your incubator to enhance the hatch rate and overall experience. 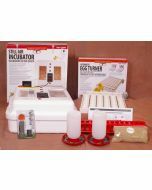 These include: Egg-O-Meter, IncuTherm Plus hygrometer/thermometer, and an Incu-Bright egg candler. 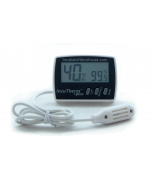 As always all of our products are covered by our One-year Hassle-free Guarantee. 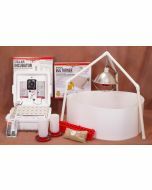 Purchase today with no worries and experience the Little Giant Quail Rails yourself. These rails DO NOT work in any Hovabator Egg Turner. 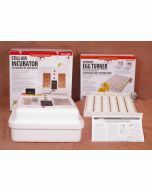 4" x 16" x 3"
Do these Little Giant quail trays work in the Hovabator egg turner? Unfortunately they will only work in the Little Giant egg turner.